These shots are from the first two weeks with the D7000. An odd assortment, hopefully showing performance in different shooting situations. This is one half of a poster hanging in my office. This and the next few shots were snapped from my desk, about 15 feet away, and at an angle. It was evening, and I don't remember if I used the flash or not. So, overall, not very interesting as far as learning what the camera can do. 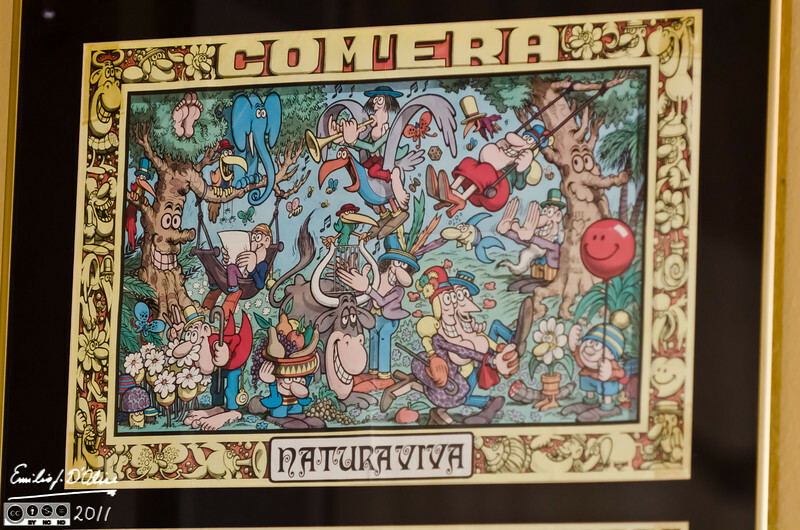 The artist is Jacovitti http://en.wikipedia.org/wiki/Benito_Jacovitti) and this half of the poster depicts "As It Was: Nature Alive"